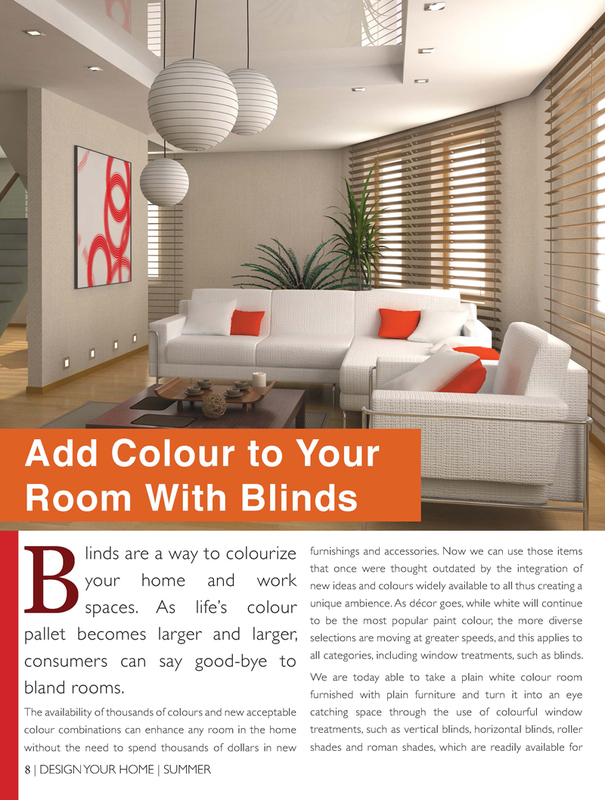 Blinds are a way to colourize your home and work spaces. 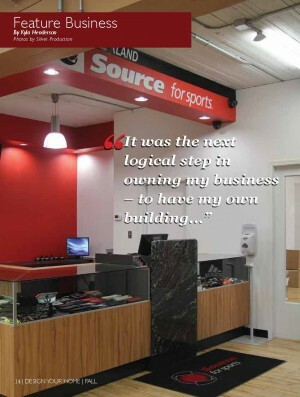 As life’s colour pallet becomes larger and larger, consumers can say good-bye to bland rooms. 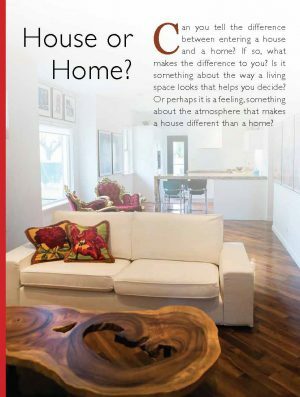 The availability of thousands of colours and new acceptable colour combinations can enhance any room in the home without the need to spend thousands of dollars in new furnishings and accessories. Now we can use those items that once were thought outdated by the integration of new ideas and colours widely available to all thus creating a unique ambience. 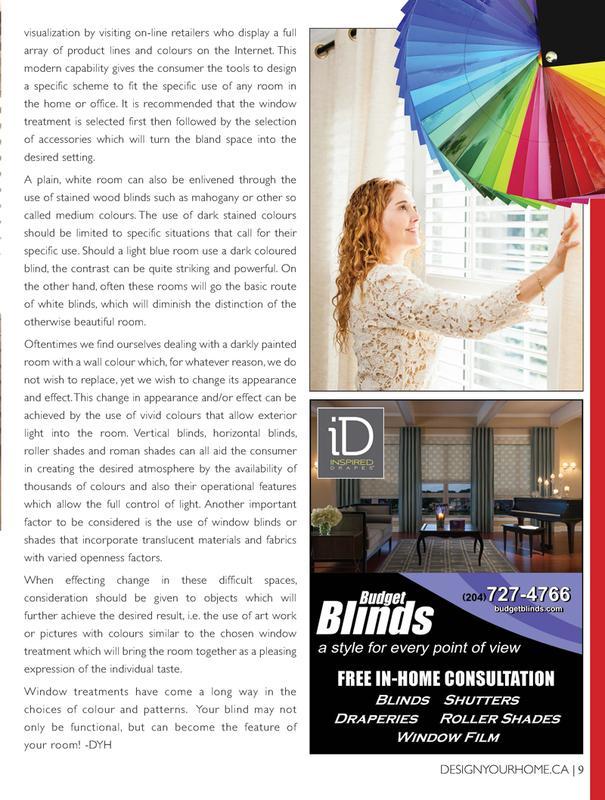 As décor goes, while white will continue to be the most popular paint colour, the more diverse selections are moving at greater speeds, and this applies to all categories, including window treatments, such as blinds. 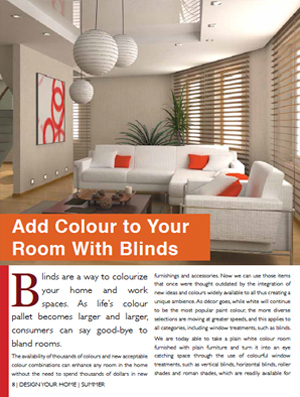 We are today able to take a plain white colour room furnished with plain furniture and turn it into an eye catching space through the use of colourful window treatments, such as vertical blinds, horizontal blinds, roller shades and roman shades, which are readily available for visualization by visiting on-line retailers who display a full array of product lines and colours on the Internet. This modern capability gives the consumer the tools to design a specific scheme to fit the specific use of any room in the home or office. 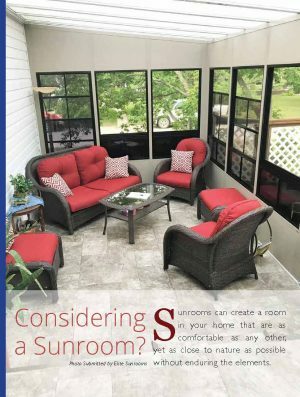 It is recommended that the window treatment is selected first then followed by the selection of accessories which will turn the bland space into the desired setting. 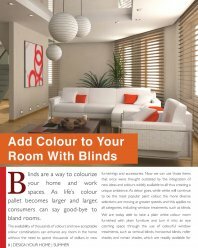 A plain, white room can also be enlivened through the use of stained wood blinds such as mahogany or other so called medium colours. 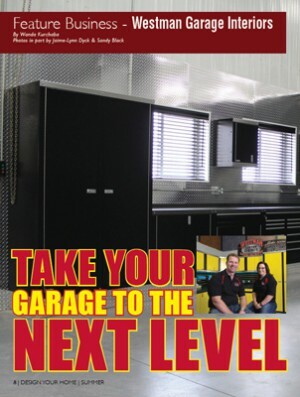 The use of dark stained colours should be limited to specific situations that call for their specific use. Should a light blue room use a dark coloured blind, the contrast can be quite striking and powerful. On the other hand, often these rooms will go the basic route of white blinds, which will diminish the distinction of the otherwise beautiful room. Oftentimes we find ourselves dealing with a darkly painted room with a wall colour which, for whatever reason, we do not wish to replace, yet we wish to change its appearance and effect. This change in appearance and/or effect can be achieved by the use of vivid colours that allow exterior light into the room. Vertical blinds, horizontal blinds, roller shades and roman shades can all aid the consumer in creating the desired atmosphere by the availability of thousands of colours and also their operational features which allow the full control of light. 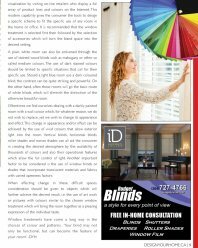 Another important factor to be considered is the use of window blinds or shades that incorporate translucent materials and fabrics with varied openness factors. When effecting change in these difficult spaces, consideration should be given to objects which will further achieve the desired result, i.e. the use of art work or pictures with colours similar to the chosen window treatment which will bring the room together as a pleasing expression of the individual taste.